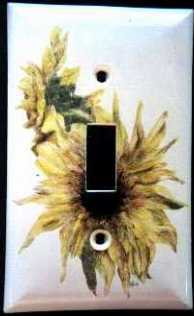 I scrimmed these sunflowers on a light switch plate. I was resting my hand and I happened to look at my light switch plate and wondered how it would work to scrim one. The price for this is $250.00.